Manchester United pulled off a comeback to avoid an embarrassing defeat at Old Trafford, as they came back from two goals down to record a 2-2 draw with Burnley. Goals from Ashley Barnes and Chris Wood gave the visitors a 2-goal lead, before Paul Pogba and Victor Lindelof got on the score sheet to rescue a valuable point for the Mancunians. Couldn’t do much about Barnes’ venomous strike. Had little else to do otherwise. Delivered poor crosses in the first half, but showed improvement in the second. 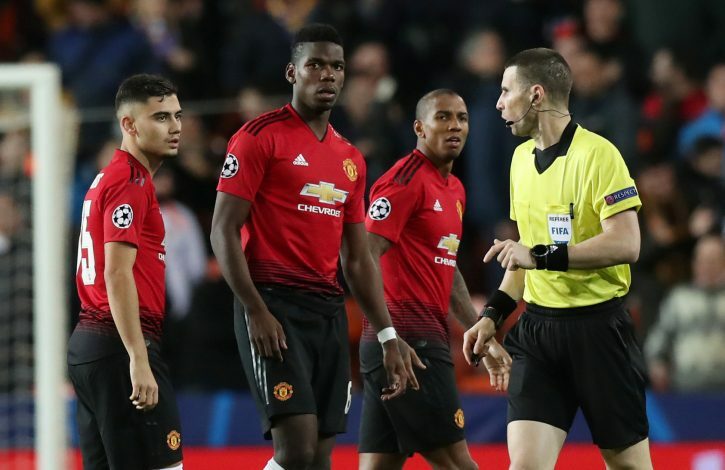 His poor pass was followed up by Andreas Pereira’s moment of disaster. A target of booing from the away camp. Could have prevented the second goal with better marking, but made up for it with a goal of his own, which has been a long time coming. Made the left wing look dangerous in the first half, but failed to make much of a direct impact. A drop from his recent quality. Missed Ander Herrera alongside him. Ineffective in the first half, and his mistake led to the opener. Subbed, and rightly so. Failed to control the game as he typically does. Did score the equalizing penalty. Hardly provided any valuable inputs throughout the game. Wouldn’t have lasted on the pitch for the entire match had Anthony Martial been fit. Wasted an incredible one-on-one chance early in the game. Just not as good in the left winger role. Didn’t do much apart from creating Rashford’s aforementioned goalscoring opportunity. A great impact sub. Won the penalty. Fairly involved since coming on.